Depending on the circumstances surrounding the case, drug possession offenses can result in either misdemeanor or felony charges. A conviction on any drug possession charge, including a misdemeanor charge, will leave you with a permanent criminal record that will follow you for the rest of your life. No matter what type of possession charge you may be facing, be sure that you have a qualified defense lawyer representing you at all times. 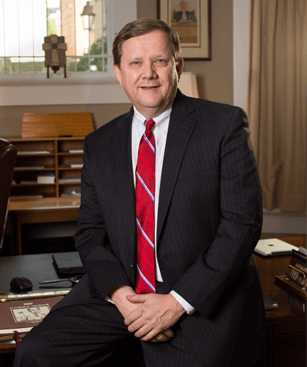 At the Riley Law Firm in Birmingham, Alabama, I help Shelby, Tuscaloosa and Jefferson County clients who have been charged with drug possession or a related crime. I work hard to obtain the most beneficial result in the most efficient and stress-free manner possible. I know how to negotiate with prosecutors in a way that produces a positive outcome for my clients. When a favorable solution cannot be negotiated, however, I am fully prepared to take the matter to court. I have experience resolving cases involving a variety of charges, including simple possession of marijuana, possession of a controlled substance and possession with intent, among others. Depending on the circumstances surrounding your case, it may be possible to argue that the search for the drugs was illegal, that you were not actually in possession of the drugs or that you were not aware of the presence of the drugs. Contact attorney Clyde Riley to discuss your defense needs. I will thoroughly review your case and explain your legal options. Please contact my Birmingham office online or by calling 205-212-5577 to arrange an initial consultation.